Fall Out Boy: Who Is the Next to Leave ? Pete Wentz speaks with an air of finality about his leaving Fall Out Boy, at least for the time being. The bass player spoke candidly with Fall Out Boy fans during a Q&A session on his Twitter account, while later posting further comments on his blog about the future of the Chicago band. Wentz began by responding to the band's current hiatus by saying, "Don't you get it? A hiatus is forever until you get lonely or old. I don't plan on either." "I can't imagine playing in FOB again," he continued to tweet. "Something would have to change in my head or my heart . . . not my wallet." 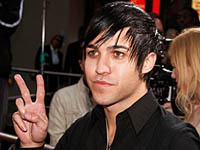 Wentz indicated that Fall Out Boy might not be over, but his involvement with the band could be. "I didn't want you to hang on a string," he added. "[At the] same time, if it happens, [I] don't want to feel like a liar. [The band] might happen without me. Oh, well." Wentz later took to his blog to clarify his comments. "I don't know the future of Fall Out Boy," he wrote. "It's embarrassing to say one thing and then have the future dictate another. As far as I know Fall Out Boy is on break (no one wants to say the 'H' word)." "I also can't predict that I'd ever play in Fall Out Boy again, not due to personal relationships as much as [that as] a band we grew apart," he continued. Wentz concluded his ambiguous statements by saying "there is the possibility that FOB will play again without me, or I will be a part of it when everyone is on the same page." RTT News has contributed to the report.